From time to time, I like to go through my collection of historic, identified photography in hopes of making a connection between ID’ed WWII/WWI veterans and their families. In this case, I zeroed in upon a photo taken on January 29th, 1945 in the Luxembourg town of Boevange. Where does the research start? 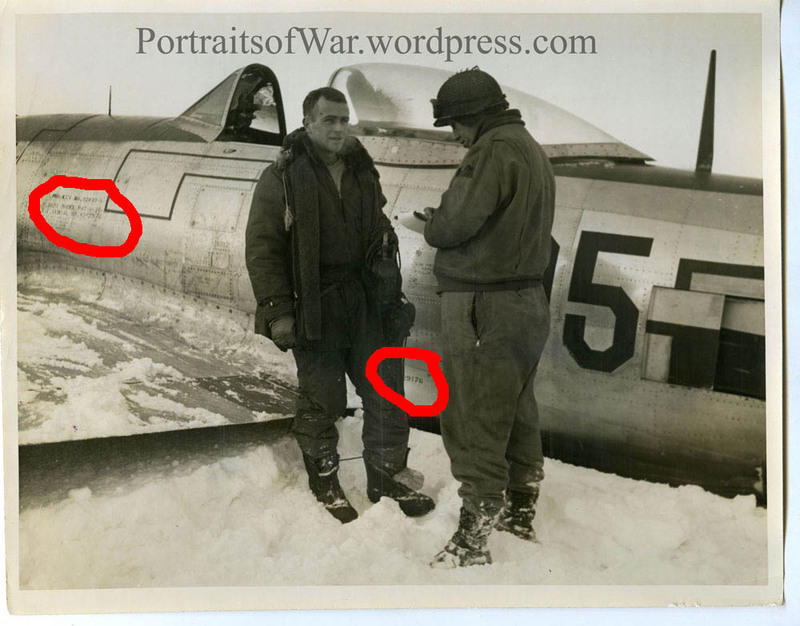 First, I carefully inspected the image for identifying marks related to the plane in the background; every US plane during WWII would be profusely marked with serial numbers (S/N) related to it’s production. 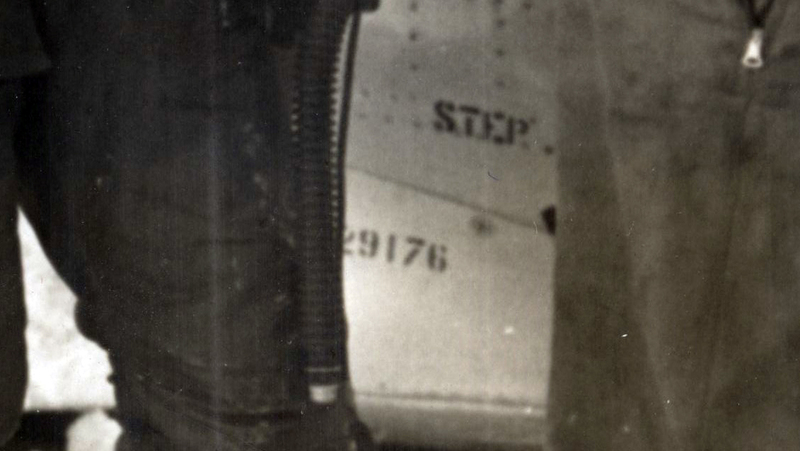 In this case, the photo includes two visible locations with reference numbers to aide in the ID of the plane. 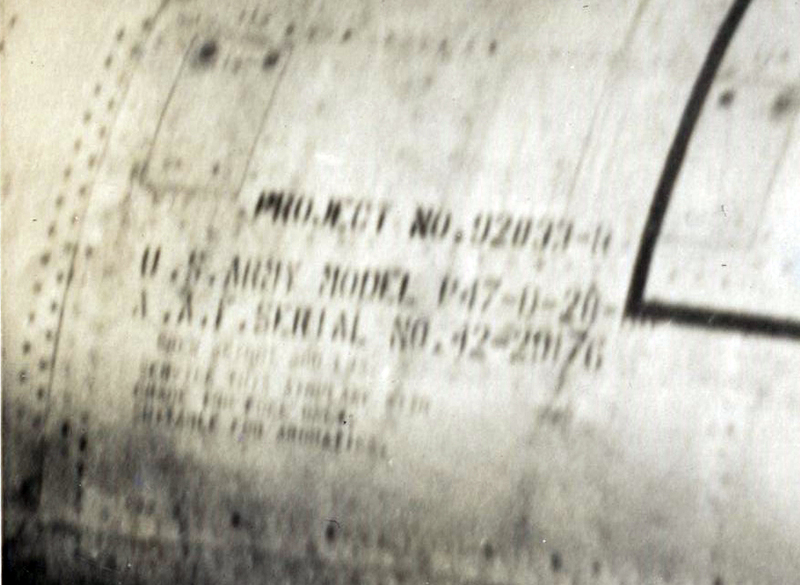 The information included in Location 1 indicates that the crashed plane is a U.S. Army Model P-47 D-20 RE with an Army Air Forces (AAF) Serial of 42-29176. Location 2 confirms the last five digits of the S/N. Strangely, the serial isn’t searchable on the internet, and I’ve come up with nothing………. this is atypical when researching WWII aircraft……. Photographers during WWII would typically travel with specific units during times of combat movement and frame shots, take notes, and capture the feel of the war for posterity and the general public back at the homefront. 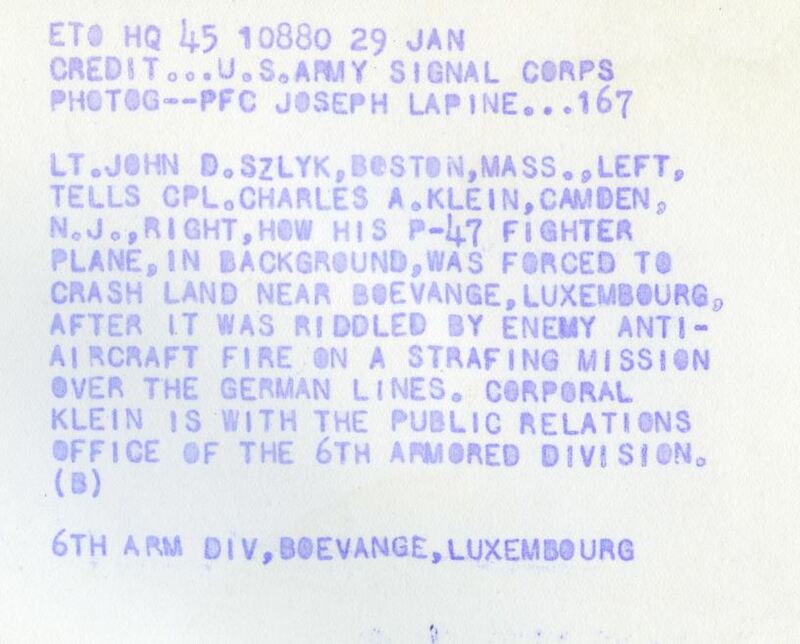 In this image, Lapine noted the names of the two men in the photo; Lt. John Szlyk of Boston, MA is identified as the pilot, and the helmeted soldiers is ID’ed as Charles A. Klein of Cambed, NJ. The men in the photo were misidentified by the photographer; the pilot and the 6th armored division names were crossed during the post-photo interview, and Lapine published the image without another thought. My justification is that I cannot, for the life of me, find a Lt. John D. Szlyk of Boston, MA, or a Cpl. Charles A. Klein of Camden, NJ. They never existed as defined….. I was, however, able to find a John Szlyk of Worcester, MA (my hometown area!) who was a combat-hardened veteran who served with the 6th Armored Division, having received the Silver Star, Bronze Star, and the Purple Heart with two oak leaf clusters (wounded three times) as well as multiple foreign awards. Quite the veteran! His touching obituary can be found here. The details from the obituary match up well with the misidentified image…. 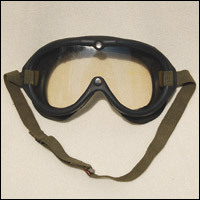 the 6th AD tanker at right is wearing the exact dust goggles commonly worn by tank commanders during the war. John Szlyk Jr. in WWII? 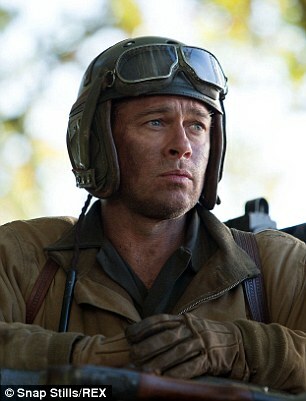 One side note from this research piece: I’ve recently discovered that many internet trolls are unhappy with the goggles worn by Brad Pitt in Fury. They’re clearly of Soviet make and WWII vintage, but cares? Maybe his character picked them off a dead German soldier? The opening scene of the film shows Pitt’s character looting a dead German officer. The interior of the Sherman is littered with German war loot. My own grandfather (a tank gunner/assistant driver) used a German holster for his M1911 during the war. Enjoy the film and chill out! My ultimate goal for this post is to contact living sons of Szlyk….. I know you’re out there! Check your facebook messages…….